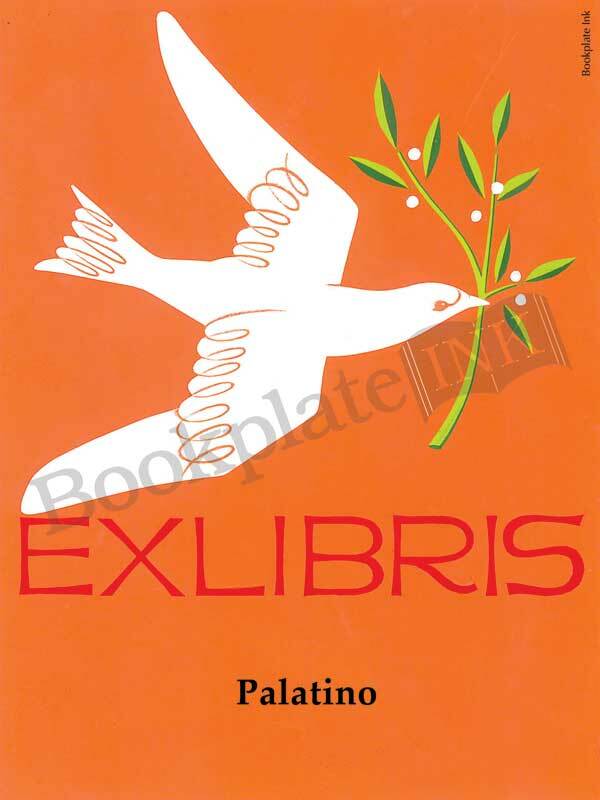 This unique and colorful dove and olive branch design was created for Antioch Bookplate Company in the 1960s by prominent designer Read Viemeister. A dove with an olive branch — mentioned in the Biblical story of Noah’s Ark — has been a symbol of peace for many years. The text “Ex Libris” is Latin, meaning “From the library of.” There is room for two or three lines of text, if needed.